The CIRCA building is now recognised as one of Johannesburg's outstanding architectural landmarks. CIRCA, which is financially supported by Deutsche Bank, dominates the North Western corner of Rosebank. The area has become South Africa's pre-eminent hub for the visual arts. 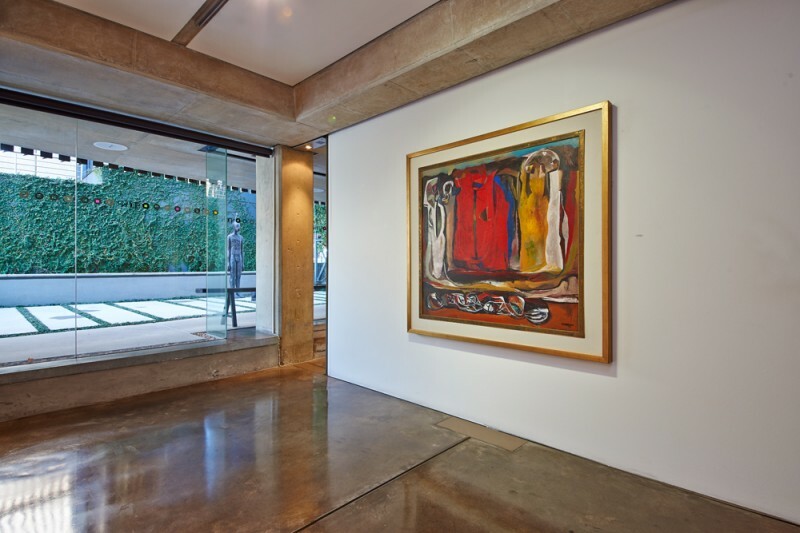 CIRCA Gallery, standing alongside the Everard Read headquarters, is concerned with exhibiting highly important contemporary works of art. CIRCA, although relatively small in size, is lofty and ambitious in its intentions. The StudioMAS designed structure was carefully constructed to create an urban environment that is confident about the importance of public space in our city, the importance of architecture to support public space, and the need for people to be able to socialise and gather in places in which they feel comfortable, safe and inspired. 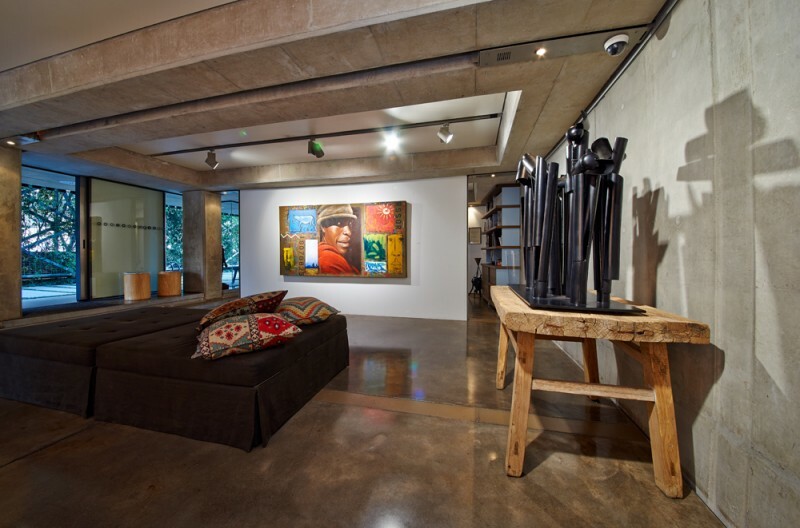 The gallery is born out of a love for Johannesburg. 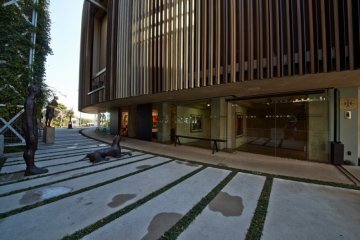 While its business is the art gallery within, its conspicuous form and design are intended to generate interest among passers-by, encouraging them to discover the myriad forms of art inside. 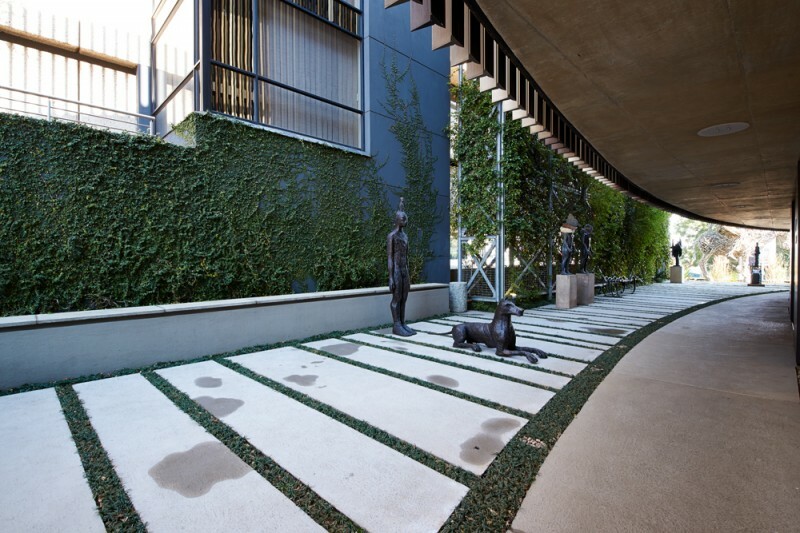 Its sculptural architecture is a celebration of art, architecture and living in Johannesburg, as well as to functionally house an environment where a love of art in all its forms can be explored by the public. CIRCA on Jellicoe is an elliptical art building which was developed around the constraints of a narrow site that was previously used as a parking lot. It is located within walking distance of shopping malls, craft markets, hotels and restaurants. The complexity of the shape means that the building was virtually constructed by hand in order to achieve a high level of uniformity. Its main feature is an anodized aluminum fin façade that allows views into and out of the building, providing a sense of both protection and openness. The inspiration behind this project came from nature and the colour palette of the fins was developed from the bark of a tree. During the day, shadows on the ramp accentuate the shape of the building, while at night the ramp transforms itself into a colorful passage between exhibition spaces and from which the nearby traffic sounds can be heard. The curatorial board also arranges installations concerned with fascinating technology, both archeological and with a view to the future. Musical events and lectures also form part of the activities which take place within its curved walls.